The Ti Rakau Drive improvements from Auckland Transport I had come across by chance thanks to a tweet coming across my Tweetdeck. 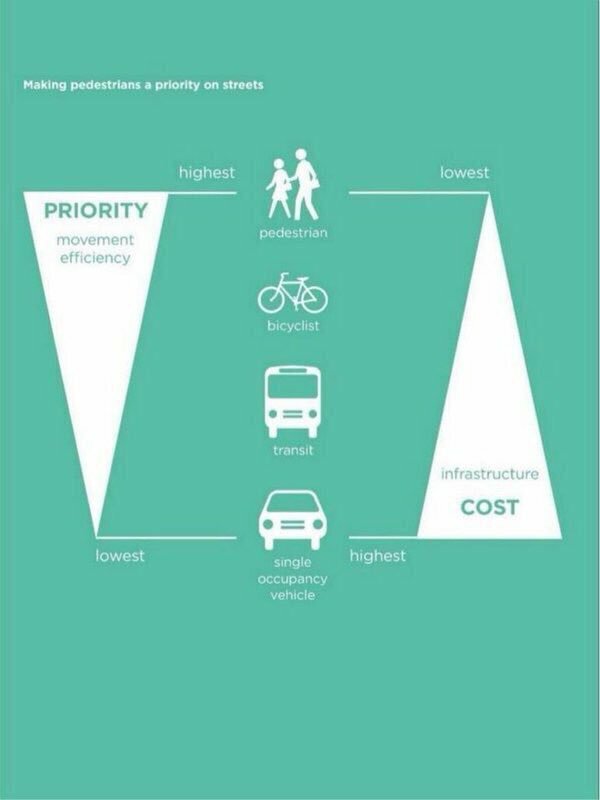 Auckland Transport are again looking at improving (car) flows at the expense of everyone else and in defiance of upcoming major transit projects in the same area. 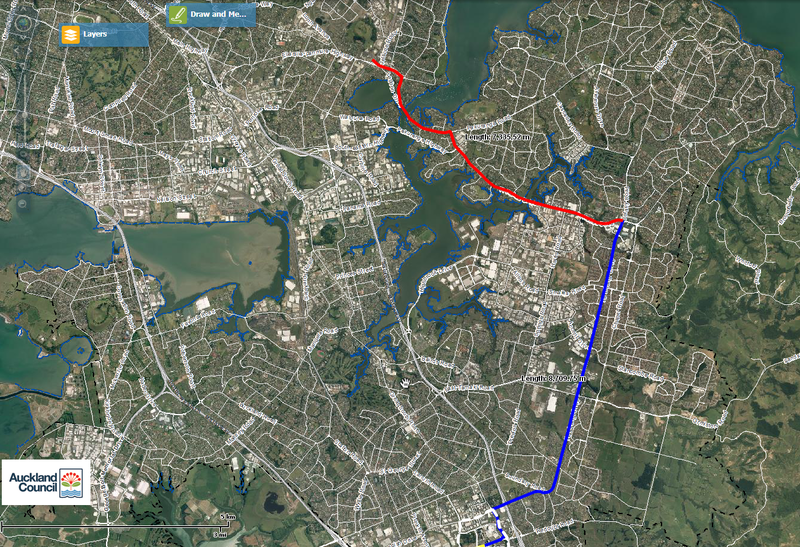 Auckland Transport (AT) wants to improve journey times for commuters along Ti Rakau Drive and the surrounding area. Our proposal includes changing some intersection layouts, adding peak hour bus lanes and improved pedestrian and cycling features. Feedback is open until Sunday, 12 November 2017. Ti Rakau Drive has traffic congestion issues particularly during peak times. 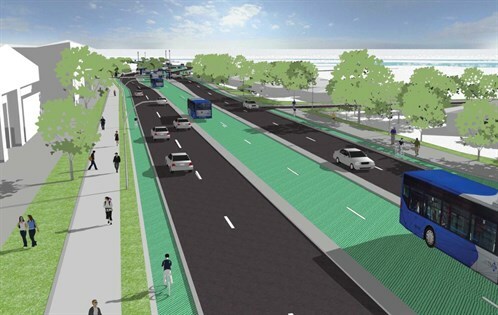 This proposal includes bus lanes and intersection changes which will improve Ti Rakau Drive by reducing queue times and improving reliability and punctuality of bus services. There are also pedestrian and cycling improvements making Ti Rakau Drive a safer and more pleasant journey for all users. Introduce peak hour bus lanes on Ti Rakau Drive, between Wheatley Avenue and Gossamer Drive. Remove right turns at the Edgewater Drive (east) intersection with Ti Rakau Drive. Introduce two right turn traffic lanes into Gossamer Drive from Ti Rakau Drive. Extend the two left turn traffic lanes into Botany Road from Ti Rakau Drive. Extend the left turn lane into Ti Rakau Drive by changing the layout of Te Irirangi Drive at the Countdown entrance. Introduce two left turn traffic lanes into Chapel Road from Ti Rakau Drive. 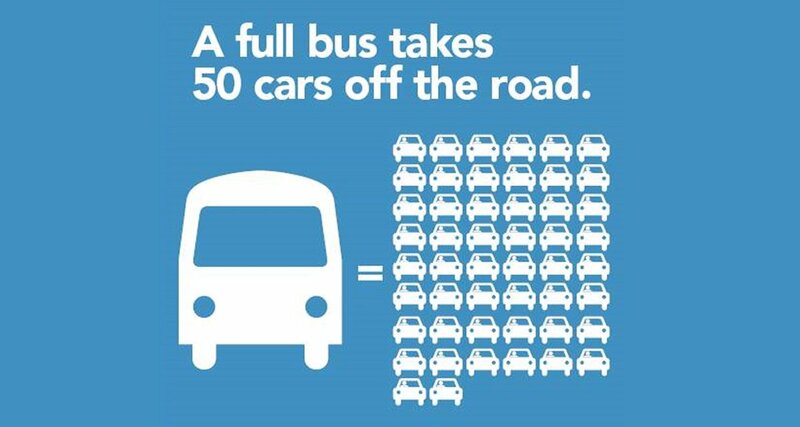 We propose to install peak hour bus lanes on Ti Rakau Drive between Wheatley Avenue and Gossamer Drive. These will operate westbound 7am-10am and eastbound 4pm-7pm. This will involve removing existing kerb-side parking during bus lane operating times. Parking would be allowed in these bus lanes outside these times. By improving bus travel flow through this section, public transport will be faster, more reliable, and a more practical alternative for those travelling through the area. Proposed layout with the Westbound and Eastbound peak hour bus lanes in use. We propose to remove the right turns from Ti Rakau Drive into and out of Edgewater Drive (eastern end). Removing the right turns will provide the space needed for the bus lane and allow safer pedestrian movement across Edgewater Drive. Vehicles turning right onto or from Ti Rakau Drive will be able to use the intersection at the western end of Edgewater Drive (see map for detail). Download the high resolution maps for Edgewater Drive (East) intersection. We propose to add another right turn lane from Ti Rakau Drive (westbound) into Gossamer Drive. This change will allow more traffic to turn right from Ti Rakau Drive and improve the efficiency of the intersection. Download the high resolution maps for Gossamer Drive intersection. We propose to extend the double left turn lanes from Ti Rakau Drive (eastbound) into Botany Road, by narrowing the wide centre island. Often only one of the left turn lanes from Ti Rakau Drive is accessible as a result of queuing through-traffic. Extending the second left turn lane will reduce wait times, improve traffic flow on Ti Rakau Drive and improve accessibility to businesses in the area. Download the high resolution maps for Botany Road intersection. We propose to extend the length of the Te Irirangi Drive left turn slip lane into Ti Rakau Drive. By reconstructing the layout of the Countdown carpark entrance vehicles turning left into Ti Rakau Drive would be able to enter this lane sooner, without having to queue with through-traffic. This would reduce the waiting time for left turning vehicles. This will improve the reliability of buses coming from Botany Town Centre. Download the high resolution maps for Te Irirangi Drive Countdown carpark entrance. We propose to add another left turn lane from Ti Rakau Drive (eastbound) into Chapel Road. A new signalised pedestrian crossing would also be installed on the slip lane to improve the safety of pedestrians. The improvements would separate the large number of left turning and through traffic, resulting in less wait time. Traffic flow on Ti Rakau Drive would be improved allowing access to the greater eastern area. Download the high resolution maps for Chapel Road /Ti Rakau Drive intersection. We expect construction to begin in late 2018. Feedback on the Ti Rakau Drive traffic flow improvements is open until Sunday, 12 November 2017. We want your feedback to make sure the proposal meets the needs of locals and the different users of the area in the best possible way. If you have difficulty completing the form, you can call us on (09) 355 3553 and our contact centre staff will fill in the feedback form with you over the phone. Sunday 28 October, 11am to 3pm at Botany Town Centre (opposite Muffin Break). Consider all feedback and use it to help refine the route design. Prepare and publish a report on the feedback received. The report will include any changes made to the proposal following the feedback period. If you provide your contact details when you give us feedback, we will notify you when the report is available. 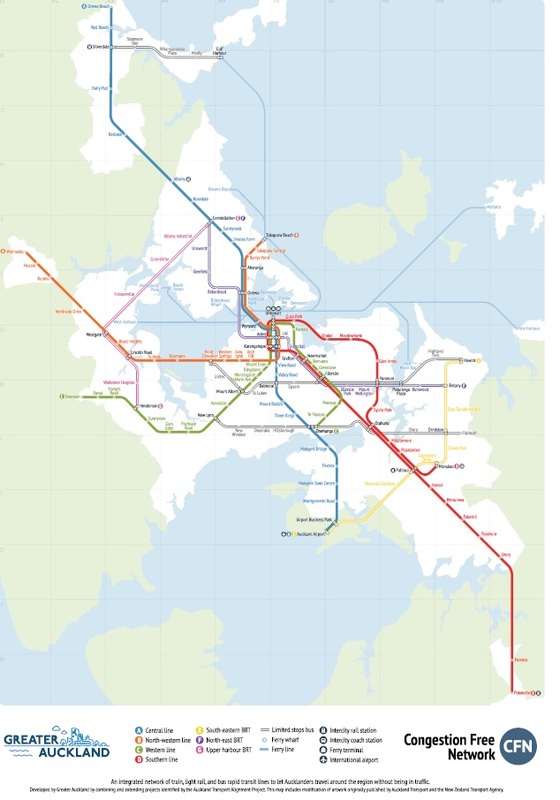 Given Auckland Transport said that these improvements wont begin until late 2018 they should hold off allowing for a change in transport direction from a possible new Government. Unless they want the entire project up-ended and started again as we might very well see with East West Link, and Mill Road being scaled back. That said Auckland Transport should be doing a lot better as well with road upgrades even interim ones as Ti Rakau Drive would become. Dollar wise it would also be cheaper as well while also allowing productivity increases through actual more efficient movement of traffic as well. 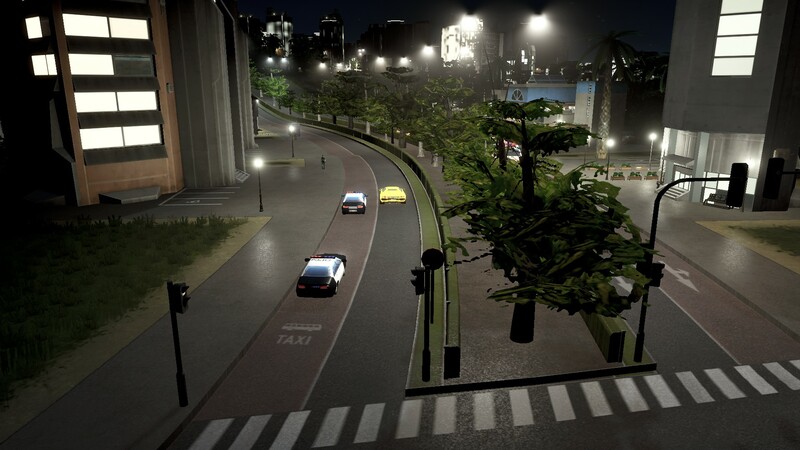 Again Cities Skylines offers some clues for AT. 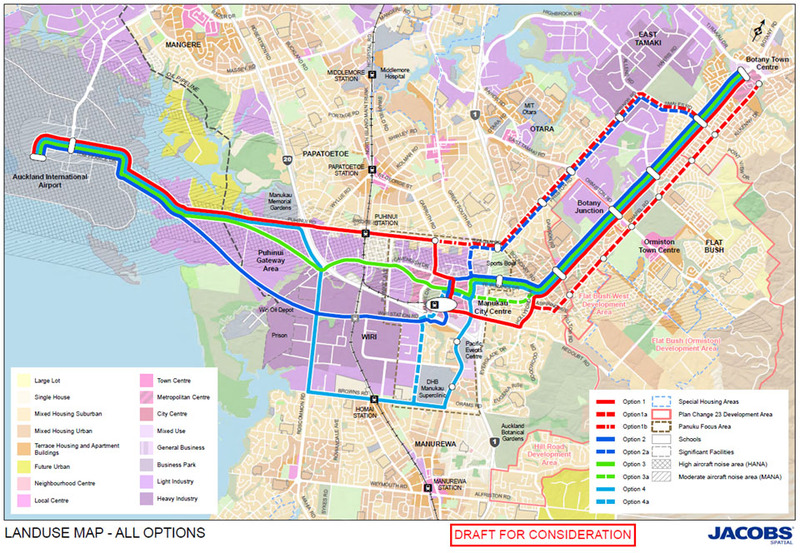 Notice the median is still quite wide that would allow for surface or even elevated Light Rail between Pakuranga and Botany. Also no slip lanes. 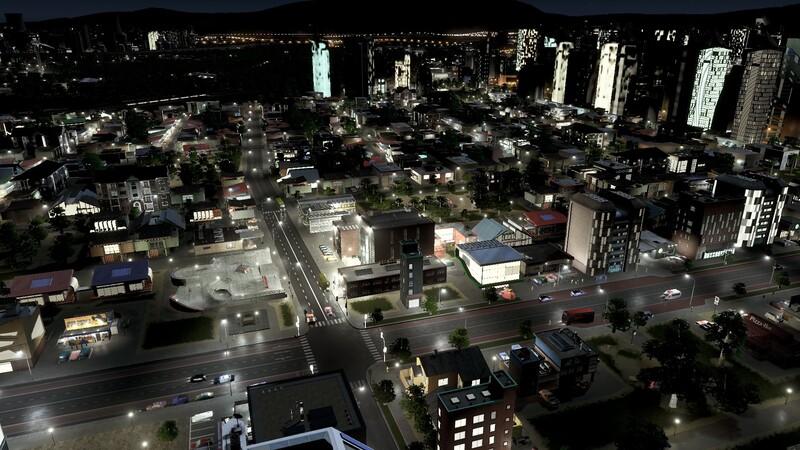 One thing though, bus lanes in Cities Skylines are 24/7 owing to the fact and most often well patronised routes have busses operating 24 hours a day, seven days a week. Small interim improvements that would both move traffic more efficiently (including busses) and providing safer pedestrian crossing areas (no slip lanes). Given the amount of carnage on the road it begs to ask when will Auckland Transport learn from NZTA’s mistakes.